Before we dive right into this Battle of the Brands, I want to let you know that I actually have a video of my entire review as well! If you don’t want to have to read it all, watch the video and you can come back to see my graphics to remind you of which ones you wanted to try out. Who’s first in the ring for this Battle of the Brands? Aveda dry shampoo is unique in that it isn’t an aerosol spray like the rest of the competition. It is a powder that sprays out. If you have ever used Aveda products, you will be familiar with that “Aveda smell”. This smells just like the rest of the Aveda products I have used. It smells a lot like essential oils. The Aveda dry shampoo is $29.75. It leaves quite a bit of residue and it feels very heavy on your hair. Overall, it didn’t score very high with me. The Herbal Essences dry shampoo immediately impressed me with its scent. It smells amazing! The grapefruit scent is awesome. This dry shampoo is about $5 in stores. I actually found a two pack for less than $7, which is really awesome! This dry shampoo doesn’t leave much residue, but I didn’t feel like it did much to my hair. It is definitely a lighter finish. If you produce a lot of oils, this probably wouldn’t be a great choice for you. I have been using this one on some of the first days after I have washed my hair. I wouldn’t rely on it when I get further into my wash at all though. Although Kenra Dry Shampoo comes with a higher price tag than a lot of these that I tested out, costing $17, it performs incredibly well! It doesn’t leave much residue, it has a medium weight, and it is able to absorb the oils on your scalp and in your hair really well. 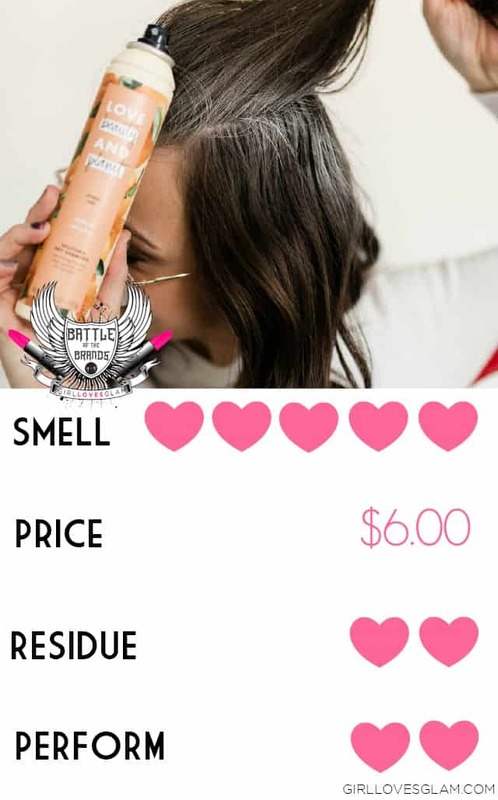 It smells like a perfume, too! It is a little more than the different drugstore options that I tried, but Kenra dry shampoo took one of my top 3 spots for sure. What product dares come into the battlefield after that performance? When I saw this Love Beauty and Planet dry shampoo on the shelf, I knew I had to grab it because of how much I have loved their other products! If you haven’t tried any Love Beauty and Planet products before, just know that they all smell AMAZING. The Love Beauty and Planet dry shampoo is no exception to that. The citrus peel scent is incredible. It is about $6, but does differ depending on where you buy it. It is a light weight dry shampoo, but it does perform fairly well. It leaves a white residue behind but it is pretty easy to rub in. I tried Hask Chia Seed dry shampoo several years ago, when I got a small bottle of it in a sample subscription box I had gotten. I remembered really liking it, but I had totally forgotten about it until one of my friends was raving about it recently. 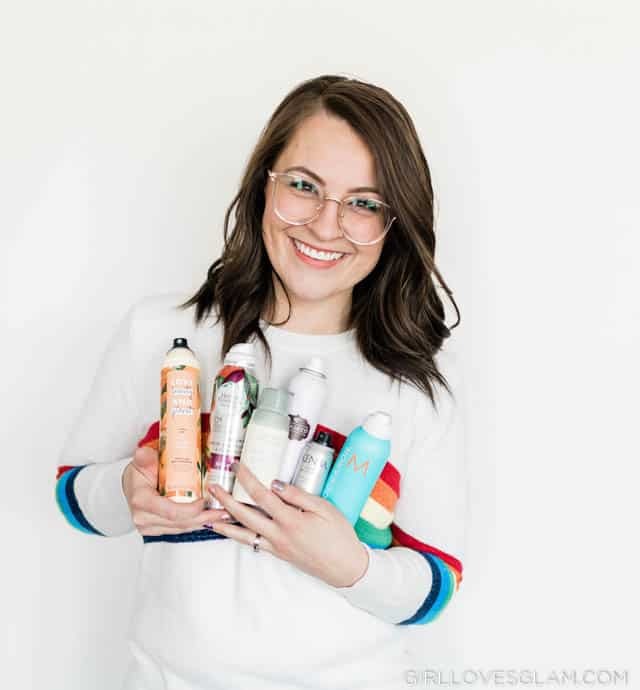 I knew I needed to try it again for my dry shampoo battle of the brands and I am so glad that I did! I love this dry shampoo! The Hask Chia Seed dry shampoo is about $5 and has a pretty good, sweet smell. 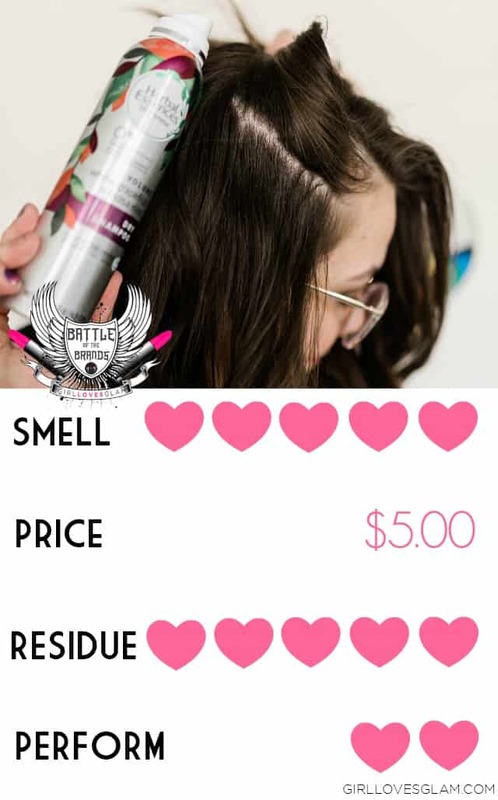 It is a medium weight and performs really well at getting oils out of your hair and off of your scalp. It does leave a little residue, but not much. The Hask Chia Seed dry shampoo is also definitely in my top 3 favorites, for my own hair. The Not Your Mother’s dry shampoo was one of the very first dry shampoos that I ever tried. It was when I was first learning what dry shampoo even was! I think it was one of the first ones that a lot of people tried… unfortunately some of those people haven’t graduated to better products since. If you are using this dry shampoo, please listen up to this review and consider another option. The Not Your Mother’s dry shampoo is about $4-$7 and it smells like cheap, disgusting hairspray. It leaves tons of residue and it isn’t incredibly easy to rub in. I will say one good thing… It does a good job at getting the oils out of your hair and off of your scalp. It has a more medium/heavy weight, so you can definitely feel that you have product in your hair. 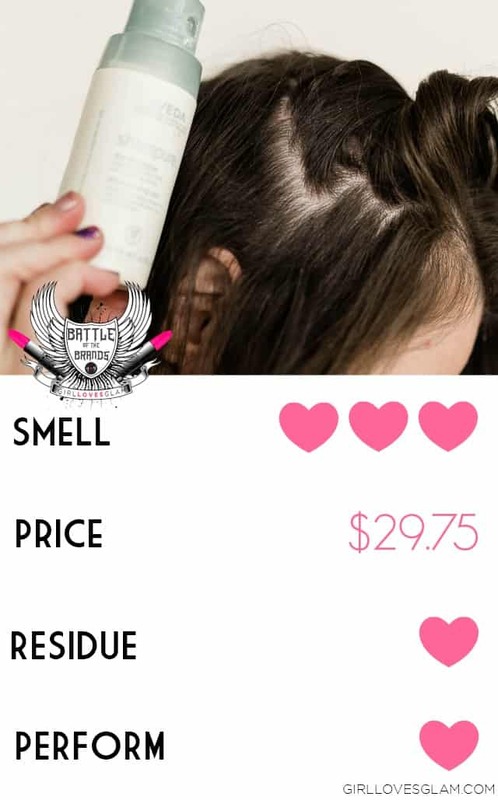 Batiste dry shampoo is another one that became popular at an early stage in the dry shampoo game. They have come out with several different types of dry shampoo. Like literally 15 different types of dry shampoo. I stuck with the original recipe. It is between $6-$8. It smells pretty fresh, but pretty strong. It leaves quite a lot of residue and it’s not that easy to rub in. It is VERY heavy. I honestly have no idea how Batiste dry shampoo has become so popular because it doesn’t make your hair feel clean at all. It does a good job of getting rid of the oils, but it leaves your hair feeling very dirty and full of product. This is another product that I feel like people used a long time ago and just never tried anything new. If you still use Batiste dry shampoo, give another brand a try! Moroccanoil dry shampoo is another one of the professional products that I tested. With that, it does mean that it costs more than most of these other dry shampoos that I tested. This one costs about $22. If you have ever used any Moroccanoil products, they all have the same scent. This Moroccanoil dry shampoo smells exactly like the rest of them. I like the smell, but I do know there are some that don’t love it. It leaves a little residue but it rubs in really easily. 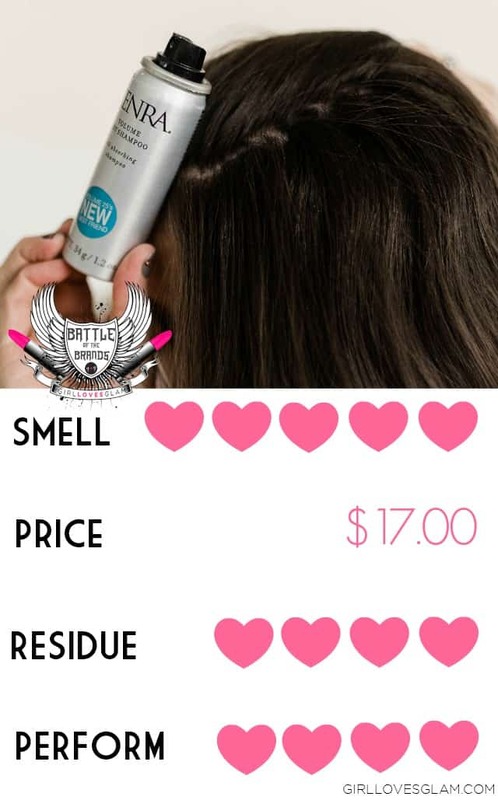 It makes your hair feel really good and it is a medium weight. I have really liked their dry shampoo for my hair. 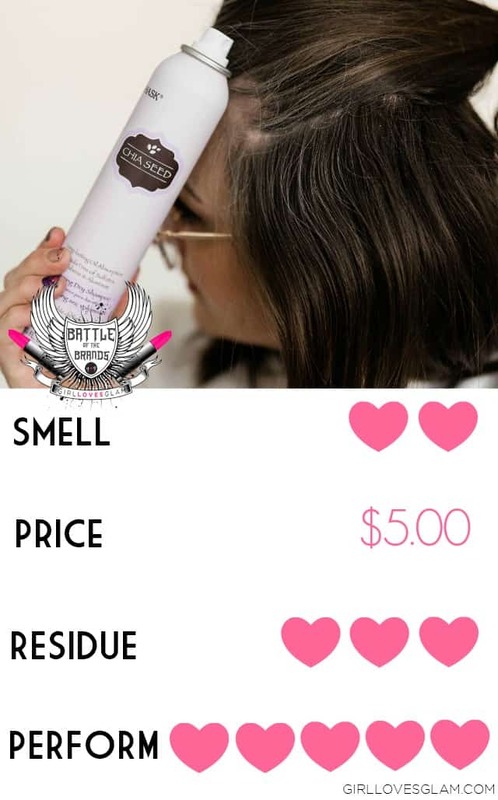 Now for two more dry shampoos that I have used for years that I wanted to share more information about, but I don’t have photos of them because I didn’t buy them for the Battle of the Brands post. The Dove dry shampoo is about $5. It performs well, but does leave some residue. The smell isn’t great. It has more of a light to medium weight. The Suave dry shampoo was my first favorite dry shampoo. I had tried about 4 different kinds before I tried the Suave dry shampoo. I fell in love with it and used it for years before deciding to try other ones. While I still really like this one, especially for the $3 price tag, I do feel like there are quite a few other options that are better for my hair. It has a light to medium weight, but I would say it is closer to the lightweight end. It performs well, but does leave some residue. I didn’t ever care for the scent. My hair has seen more dry shampoo than it probably ever wanted to see, but it will go through anything for you guys! 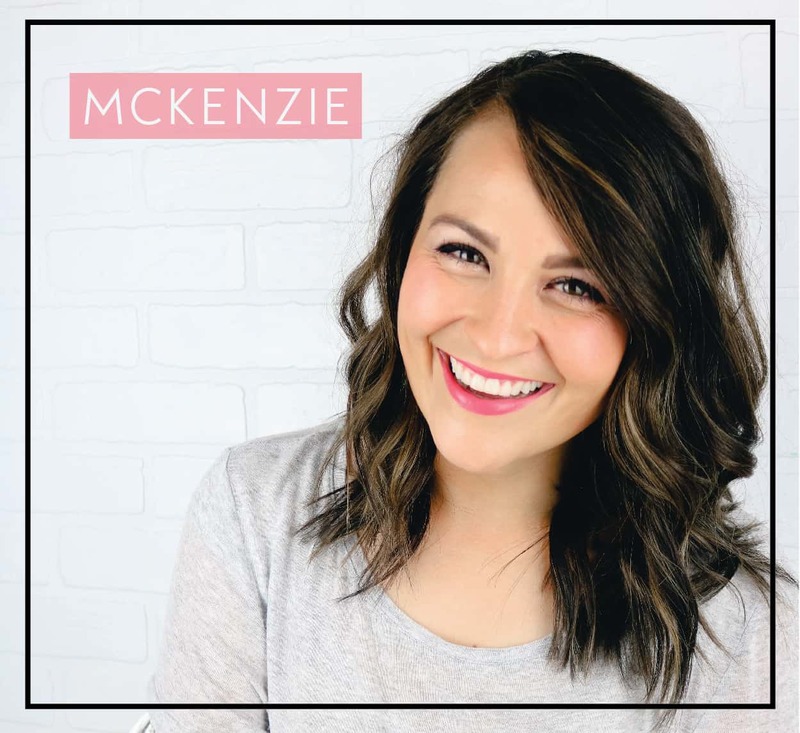 I hope this informative post helps you make the best dry shampoo choice for your hair! 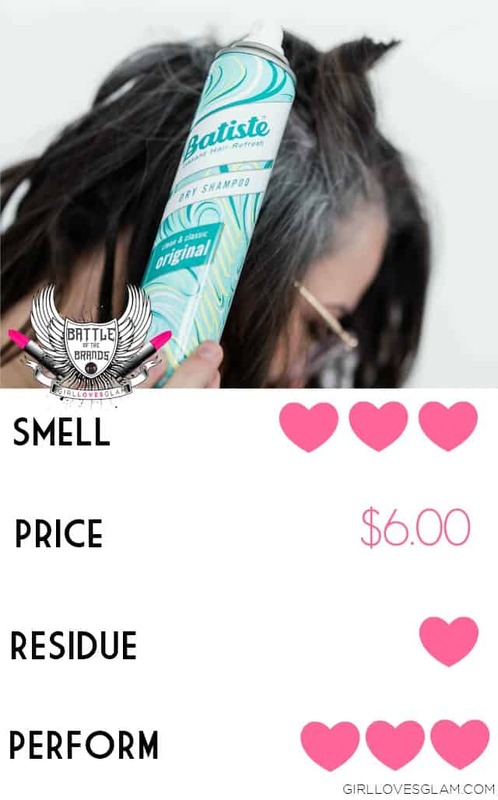 Please share this post with your friends so they can learn more about their dry shampoo options. Knowledge really is power, especially when it comes to what products you are using on your hair. There is no reason to have a bad hair day that is caused by dry shampoo, when you could find one that is better suited for your hair! 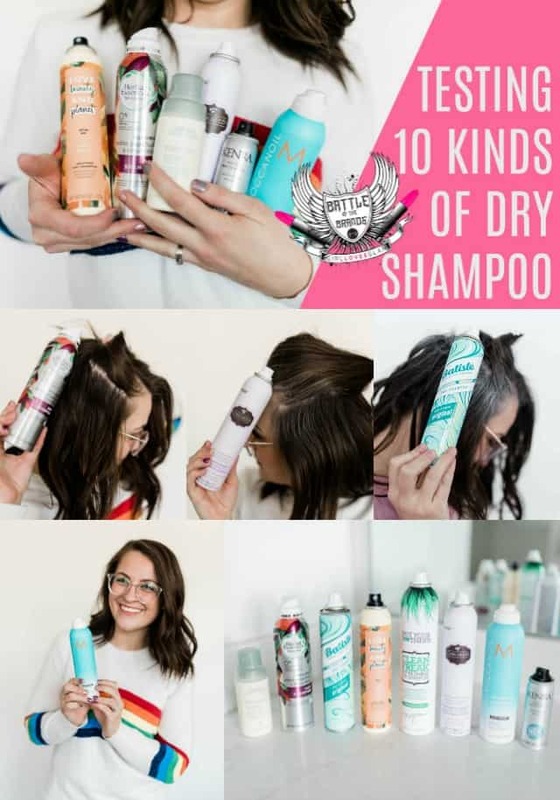 I want to know what dry shampoo you are currently using and what ones you want to try next, now that you have learned more about these!